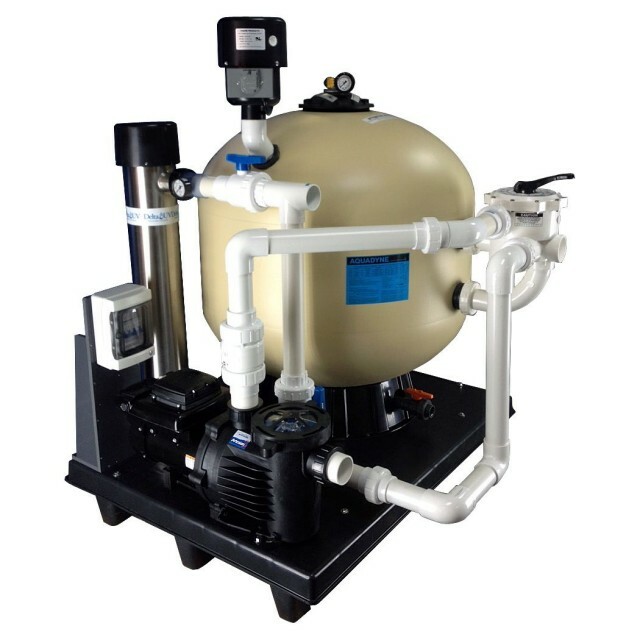 Aquadyne Plug & Play Filtration Systems take the hassle out of the decision making and installation process for you. Ideal for both residential and commercial installations. The Aquadyne Systems far exceeds the performance of most all competitive filtration units in its class, capable of consuming large amounts of fish waste and neutralizing equally large amounts of ammonia and nitrite from the aquatic environment. Aquadyne systems can be set in place and put into service within a short time of arrival and no prior experience with system assembly is necessary.